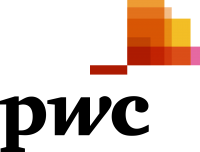 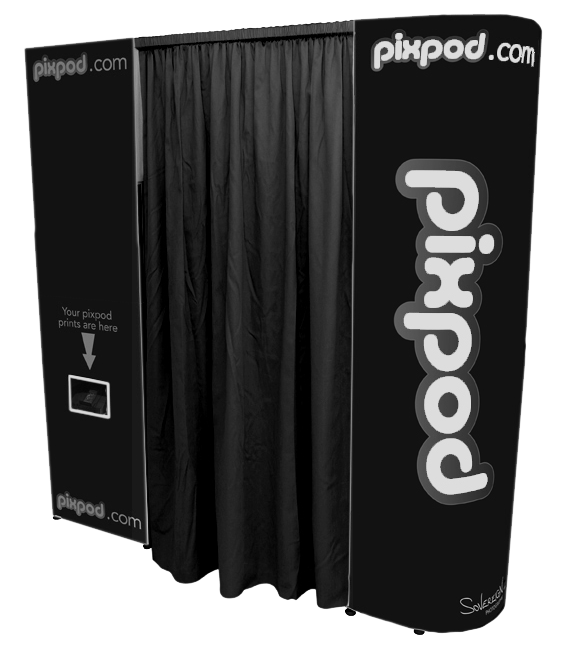 About Pixpod – Who is it for? 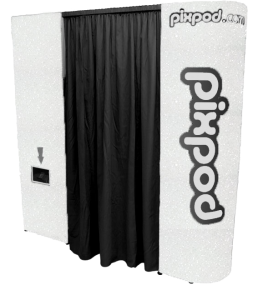 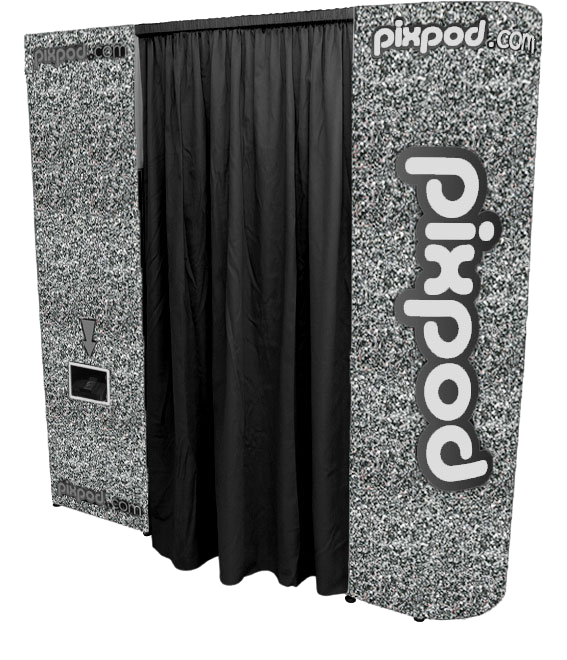 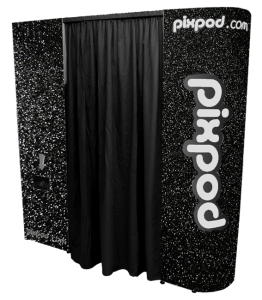 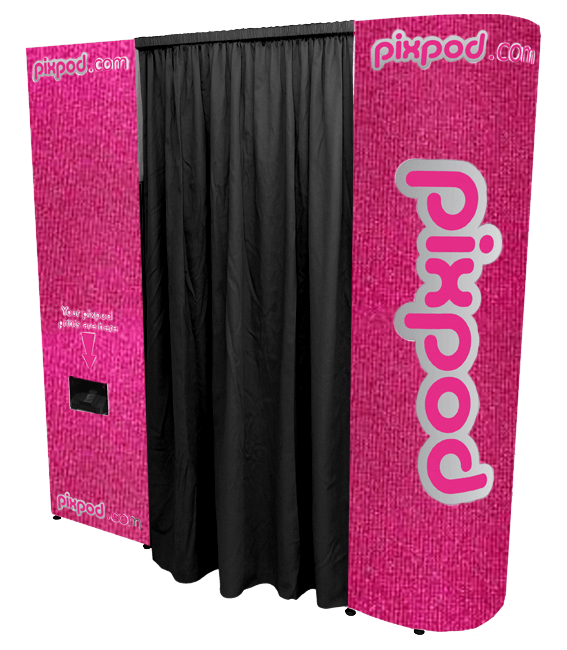 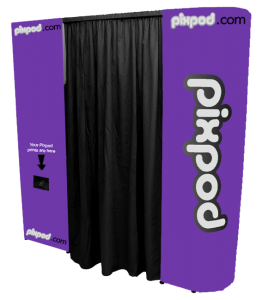 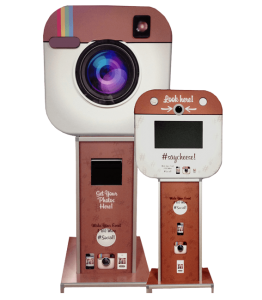 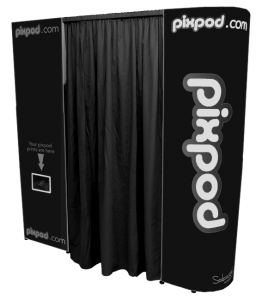 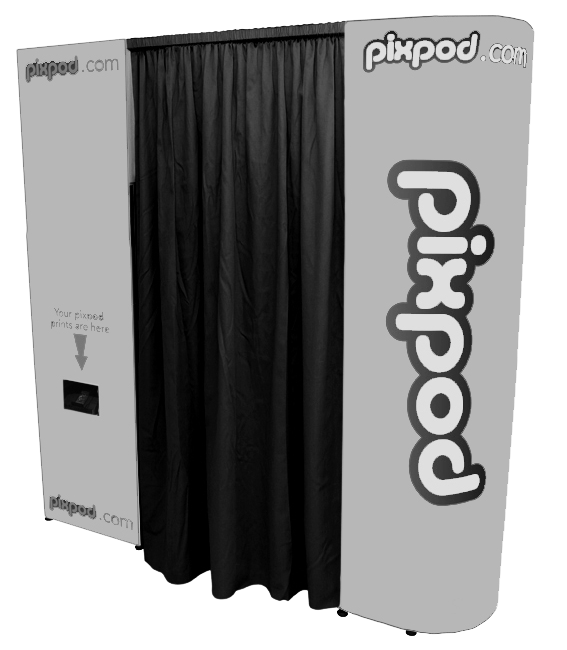 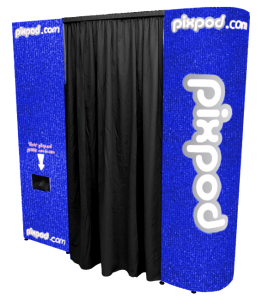 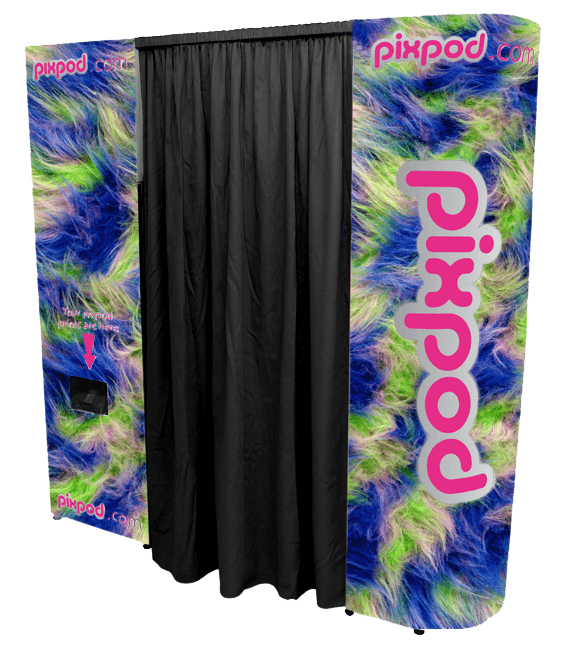 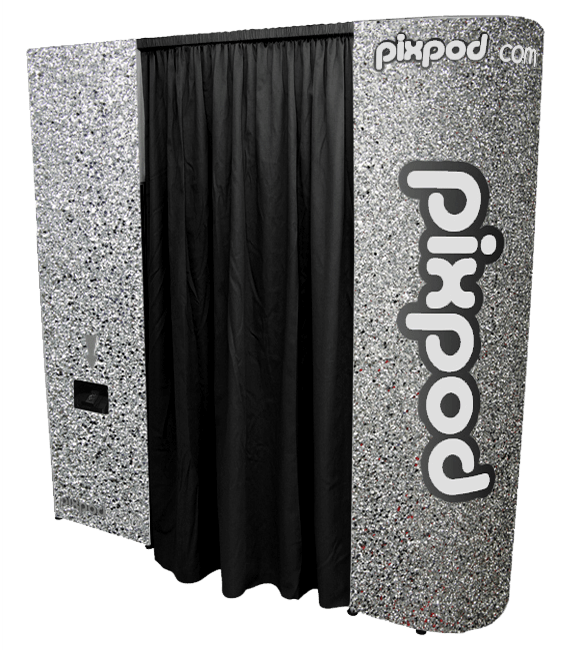 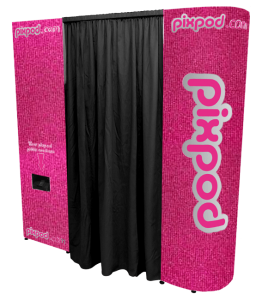 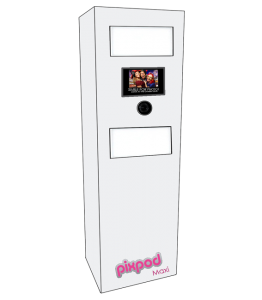 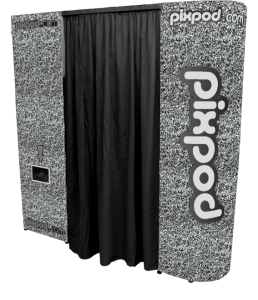 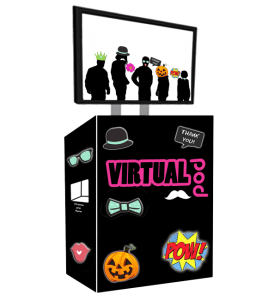 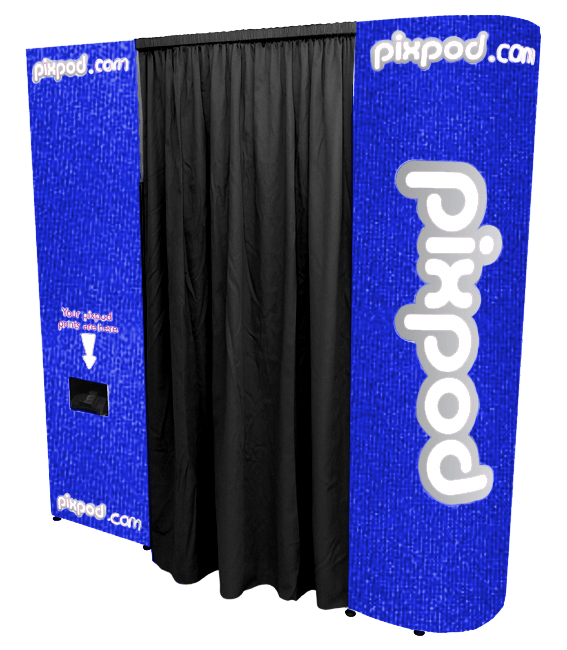 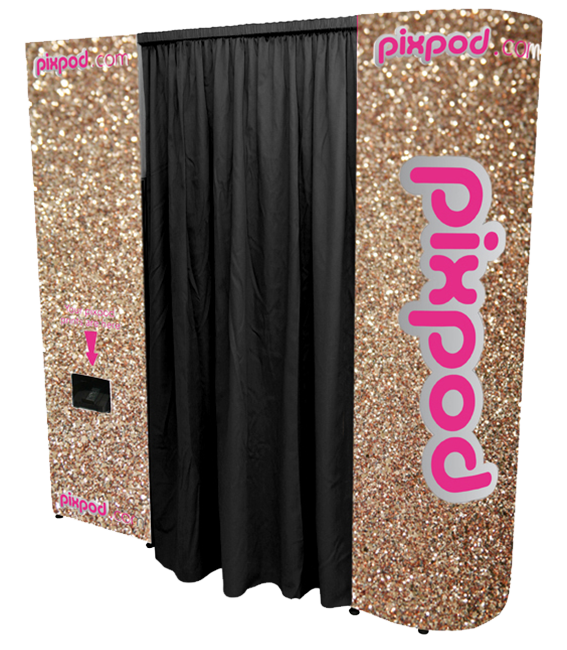 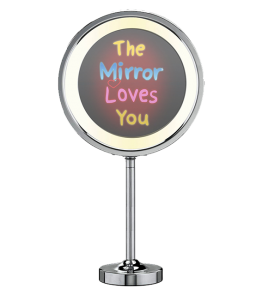 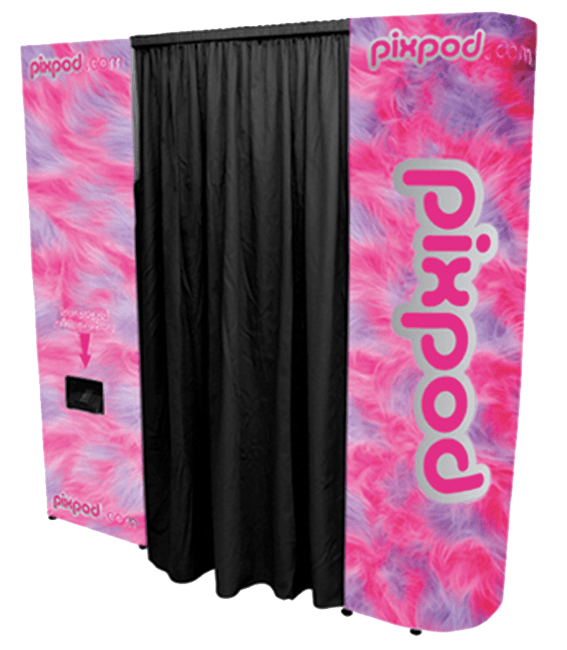 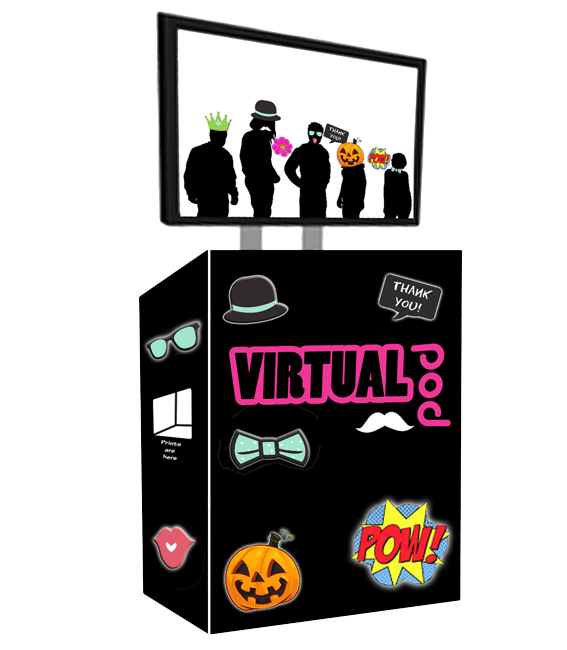 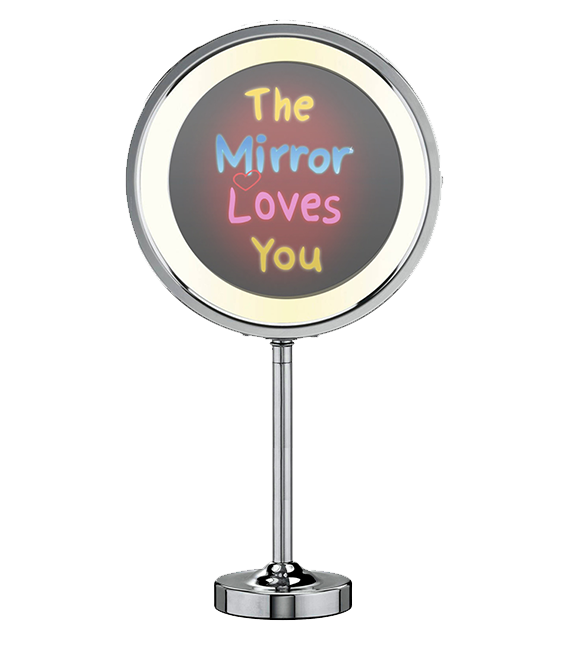 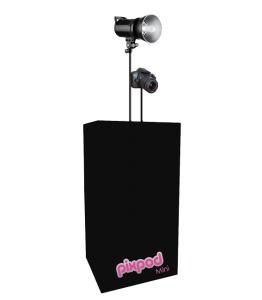 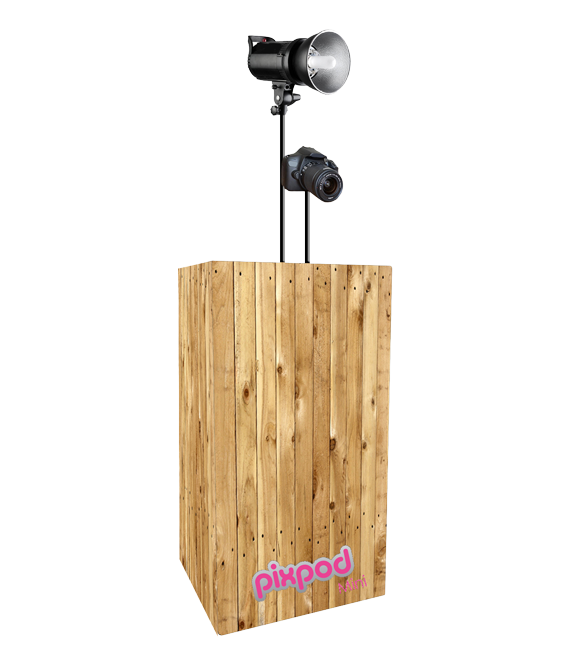 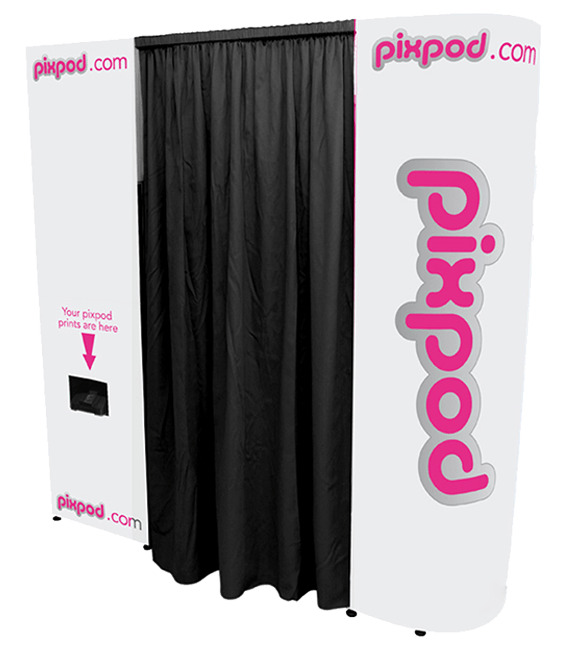 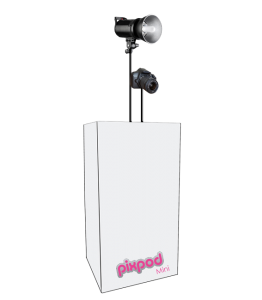 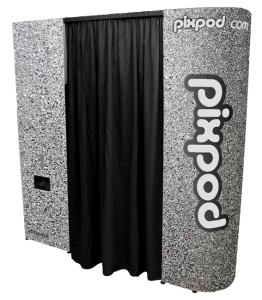 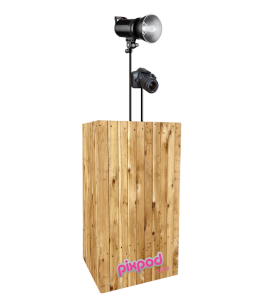 Whatever your event, whether it is a Wedding, Bar or Bat Mitzvah, party, celebration, or Corporate event, the PixPod Photo Booth will bring out the fun in your friends and leave you with some fabulous memories! 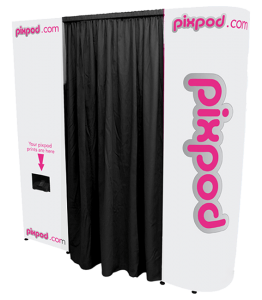 What better way to record the spirit of your special day and picture your guests’ enjoyment! 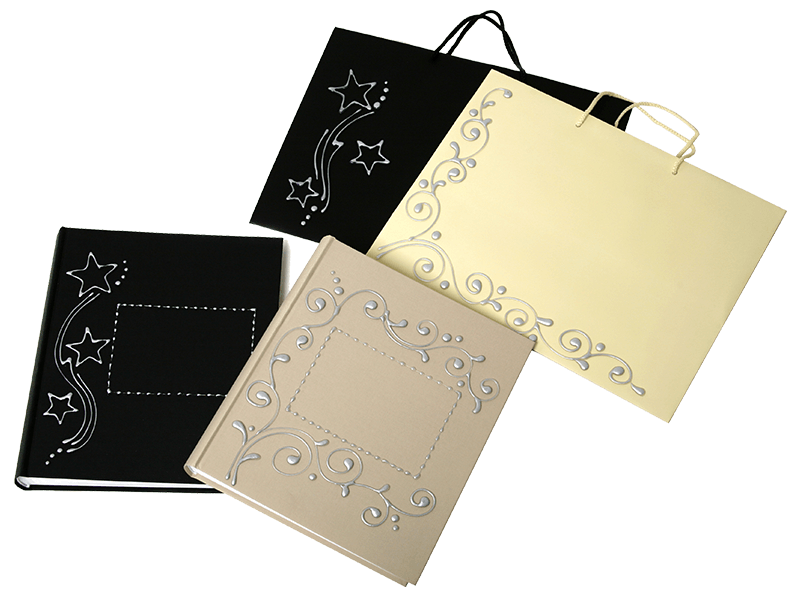 We can print additional copies and put them in a guest book for your friends to sign. 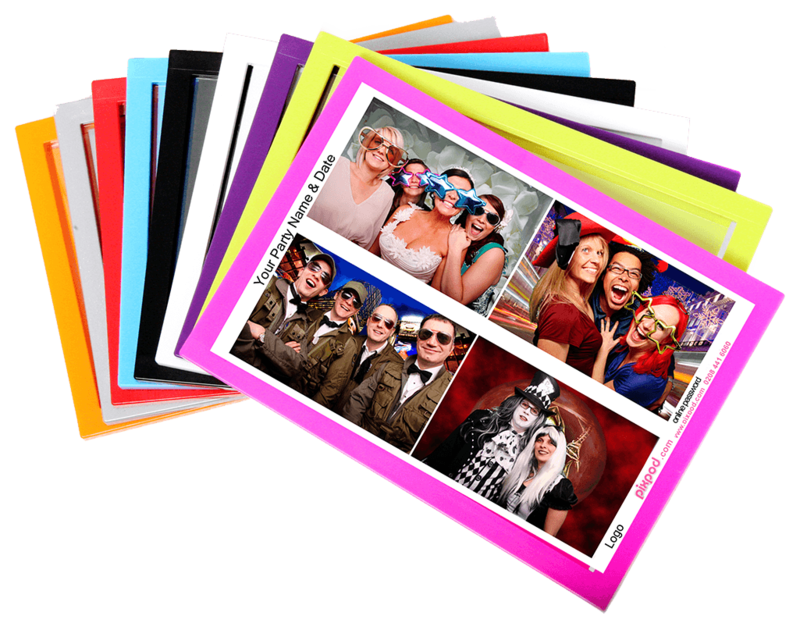 Why not use our box of party props – hats, wigs, glasses etc for even more zany pictures! 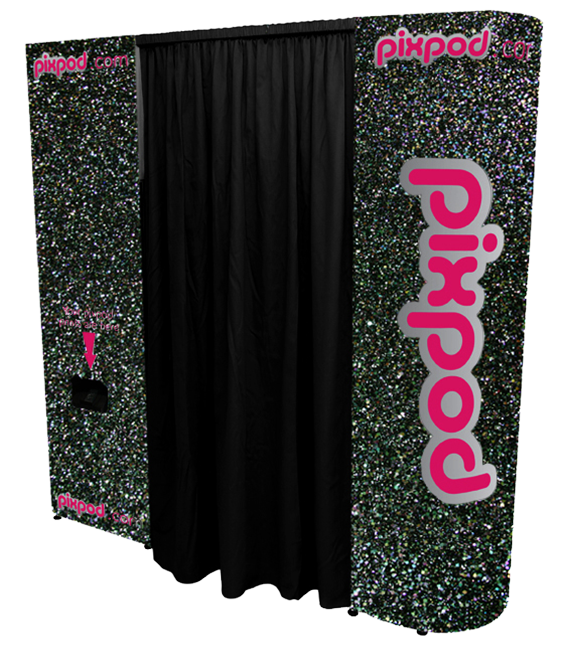 As an option we can customise the backdrop inside the booth, and the panels on the outside to coordinate with your colour scheme or theme. 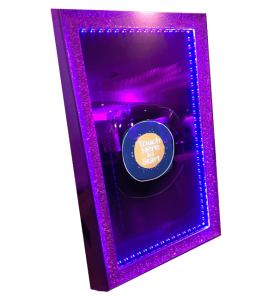 Want to liven up your Corporate function? 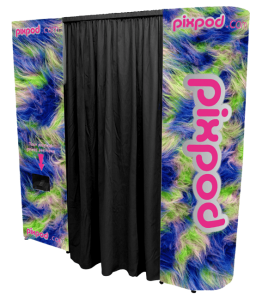 Then dive into our PixPod and let your hair down! 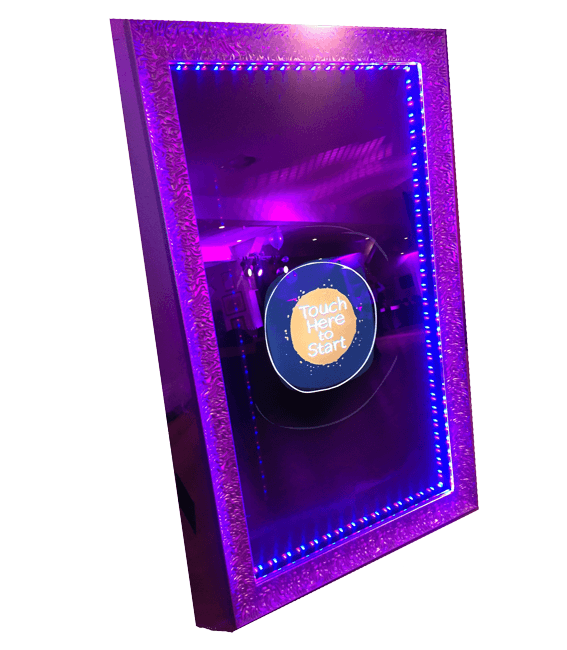 It’s great at award ceremonies, product launches, team building events, or even at an exhibition stand to create interest in your product or service. 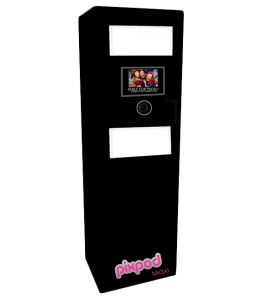 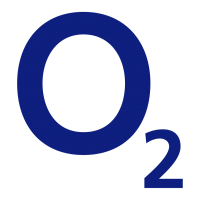 To personalise the PixPod we can add your company logo or colour scheme as an additional option. 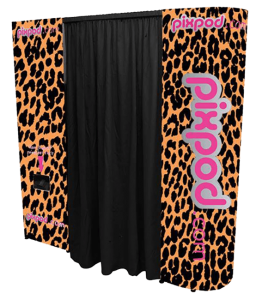 At the end of your exams let off steam and let it all hang out in our fun PixPod! 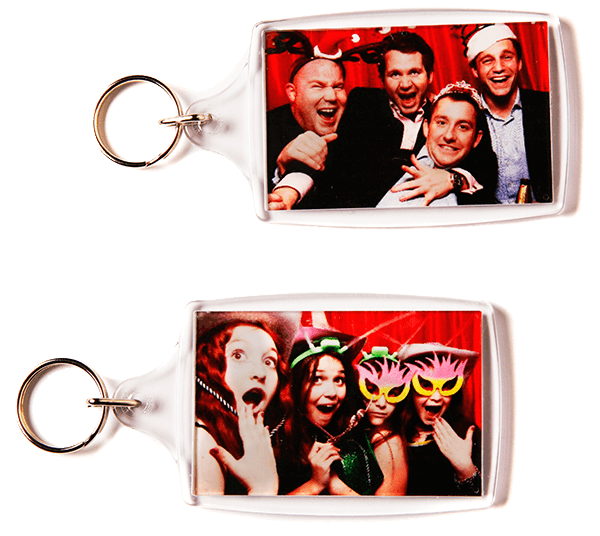 Add a splash of fun to your fund raising – maybe award a prize for the silliest photo! 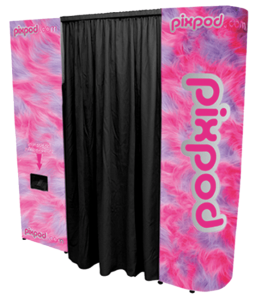 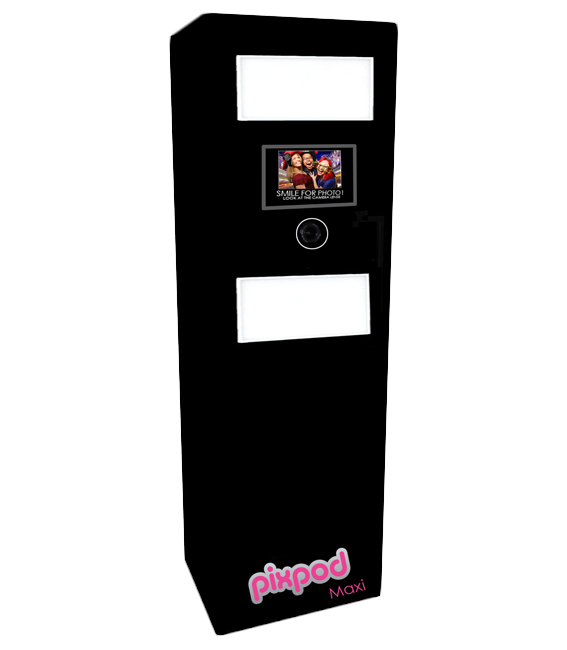 Before you leave school or college have fun with your mates in our PixPod. Capture the fun – discretion assured if celebs are involved! 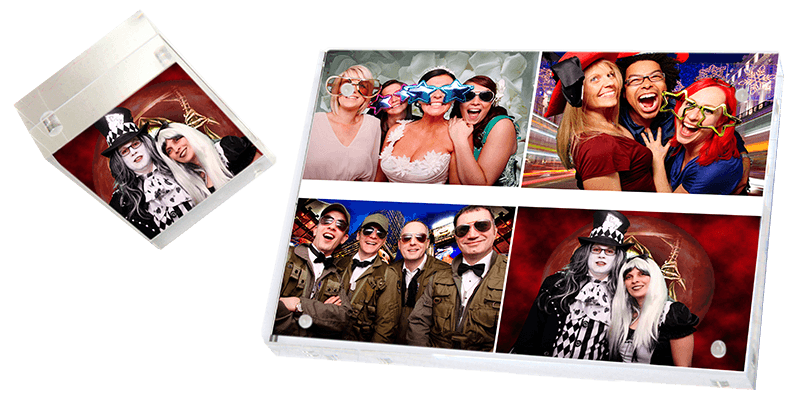 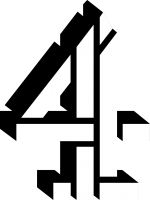 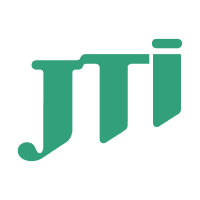 3 Hour Rental and unlimited 6×4″ prints. 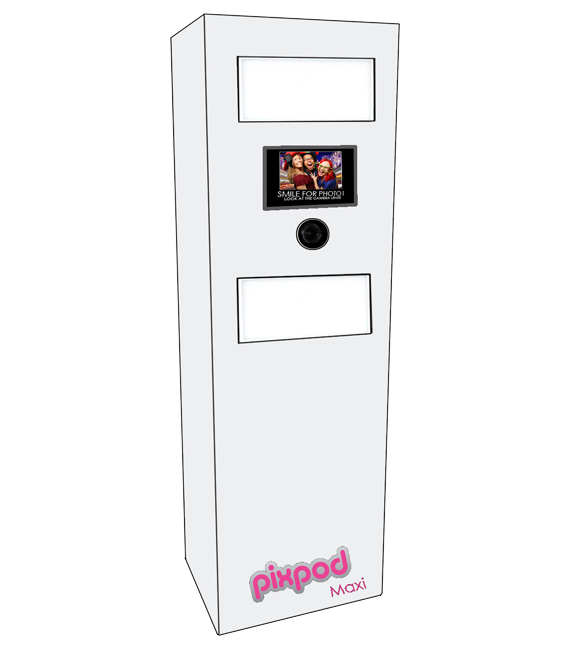 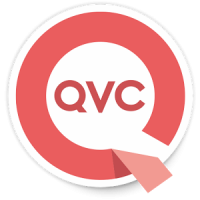 Guests can go in again and again! 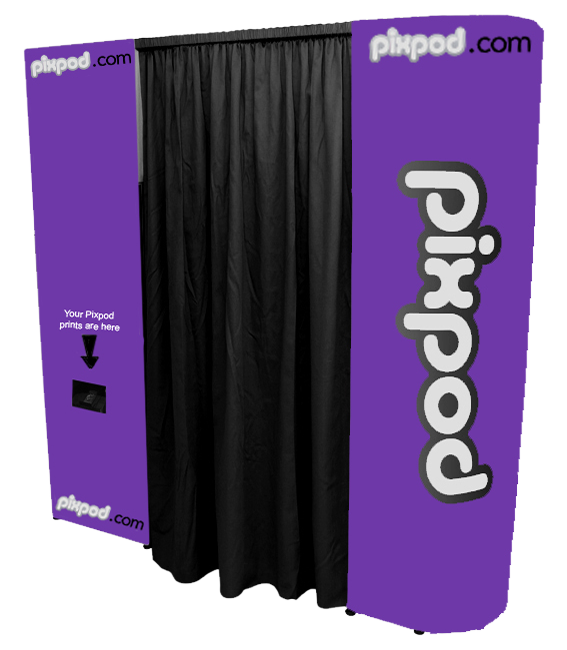 Your own custom banner or logo on the prints. 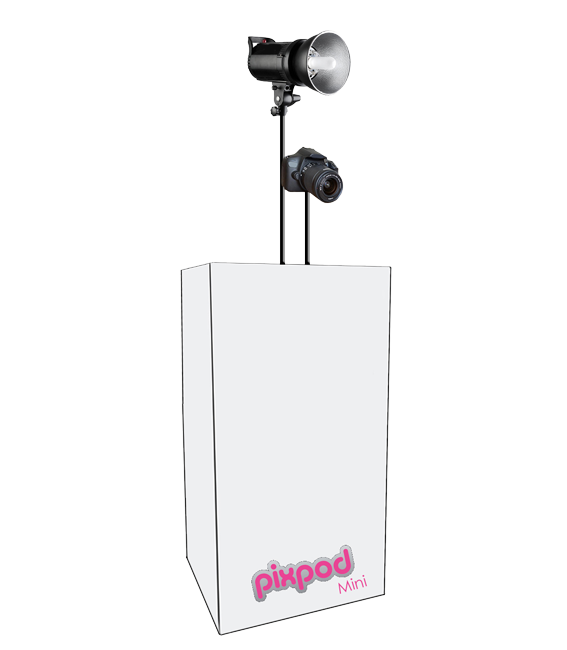 CD or DVD of all the images (excluding any censored ones!). 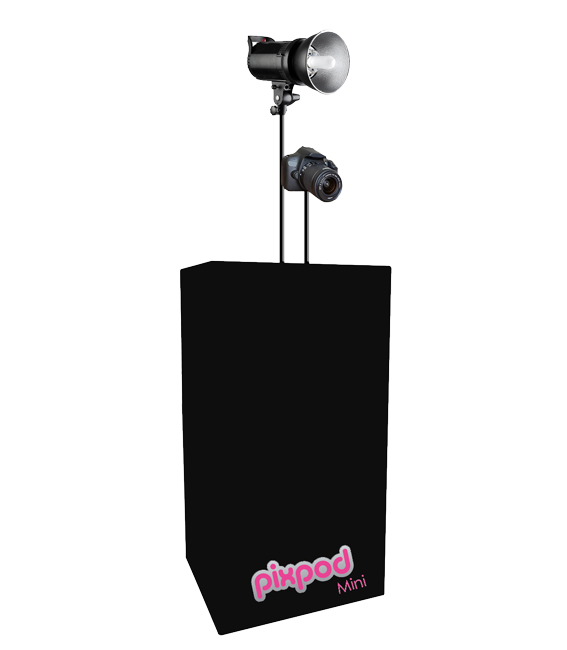 Experienced member of our PixPod team on hand throughout to make the event go smoothly. 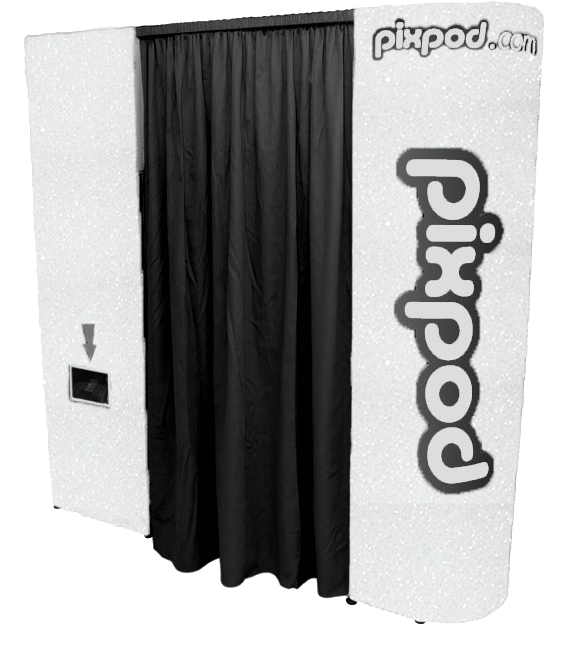 A guest book with a second set of pictures for your friends to sign, and a second Pixpod team member to run this. 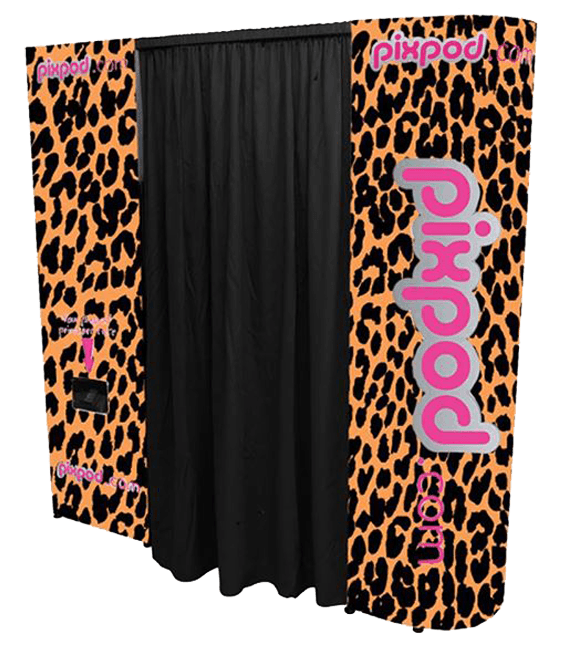 Alternative backdrops in the PixPod eg scenic view or landmark. 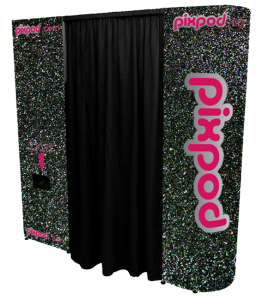 Projection of the images from the booth so everyone can see!